The Multia was DEC's attempt at building a small, affordable networked workstation. Versions were offered with an Alpha CPU (VX40, VX41, VX42) or Intel CPU (VX51). Built using a lot of laptop technology (PCMCIA, 2.5" hard drives), these systems overheat easily. 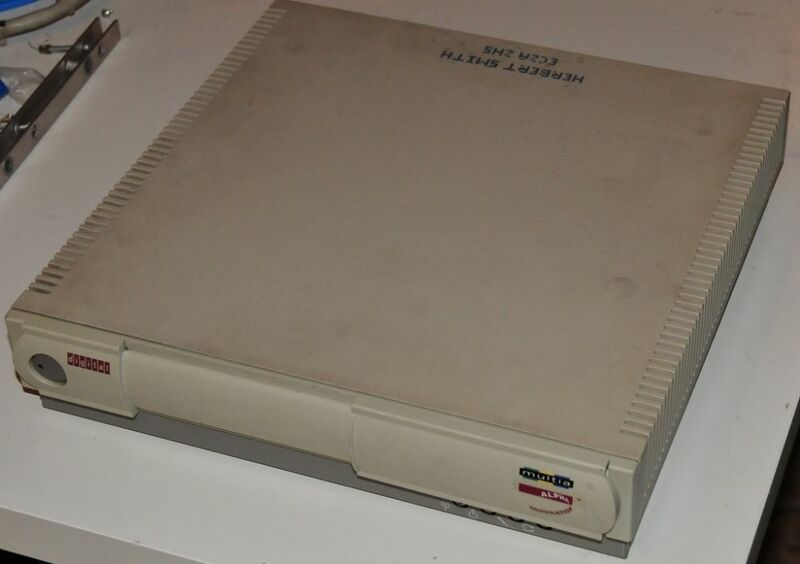 A notable feature are the 12 MB SIMMs this system originally came with. Two 16 MB SIMMs were added later. This unit has an upgradeable CPU (the VX40 has the same CPU, but soldered directly to the mainboard) and cache memory. 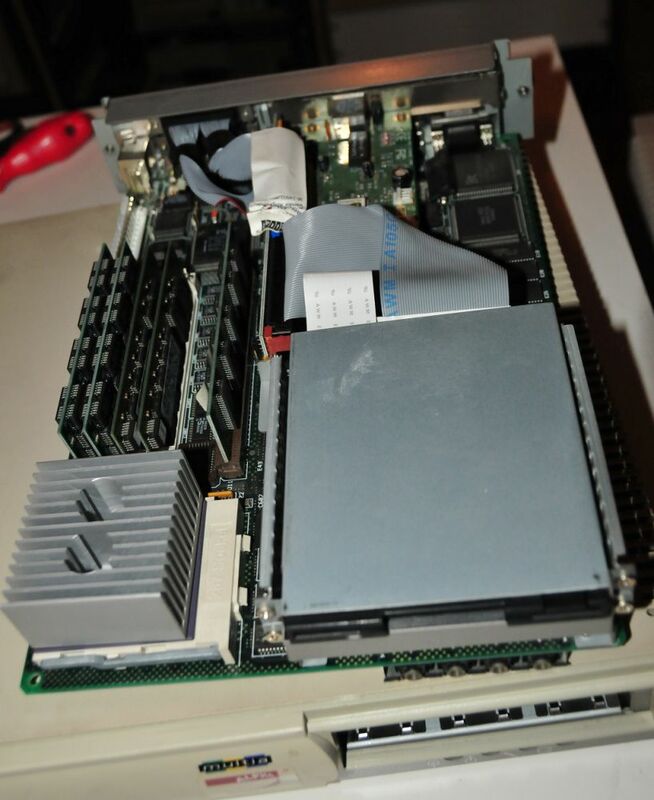 A small plug-in board provides a SCSI controller, driving the internal 2.5" hard disk. 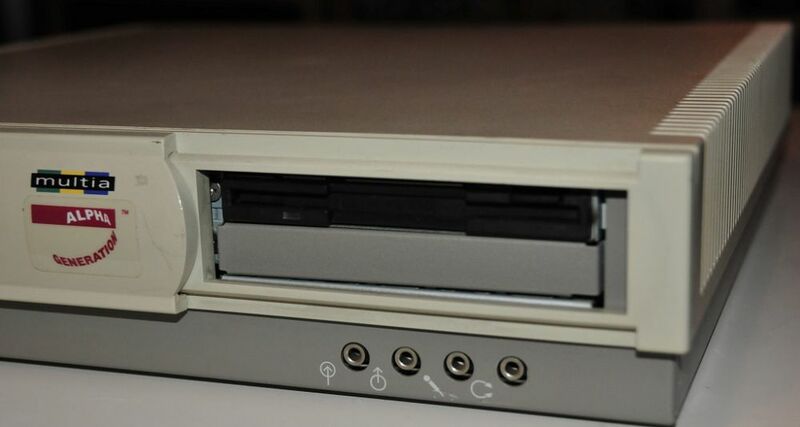 The floppy drive is a 2.88 MB 3.5" ED disk drive.